A little while ago, a friend of mine asked me, "What five pointers would you give someone wanting to plunge into free-motion quilting on their domestic machine?" I don't usually like to categorize information like this into an arbitrary number of points, but I think it worked well in this case, because it made me stop and think about it in terms of steps, rather than ramble on for a half hour. My biggest tip: Don't be scared. It's just fabric and the quilt police will not come knock on your door to tell you did it wrong. Just try, and then you'll know if you can do it. I also recommend spending hours on YouTube watching other people quilt on their machines. Watch their motions, listen to their recommendations, and then do what you want, armed with the collective knowledge of all the experts. Jackie is a stay at home mom and military wife. She currently lives in Northern Minnesota but has lived many places including Germany and Hawaii. She loves all things quilty, fabric-related, and nerdy. Visit her on instagram. Hi everyone! I'm Jackie Marks. I'm a mom to three girls, and a military wife of almost ten years. We just moved from Honolulu to Northern Minnesota, which is just as big of a change as it sounds! As a quilter it was especially interesting to come from the land of big Hawaiian hand-appliqued floral quilts to the Midwest, where traditional American quilting is a Big. Deal. 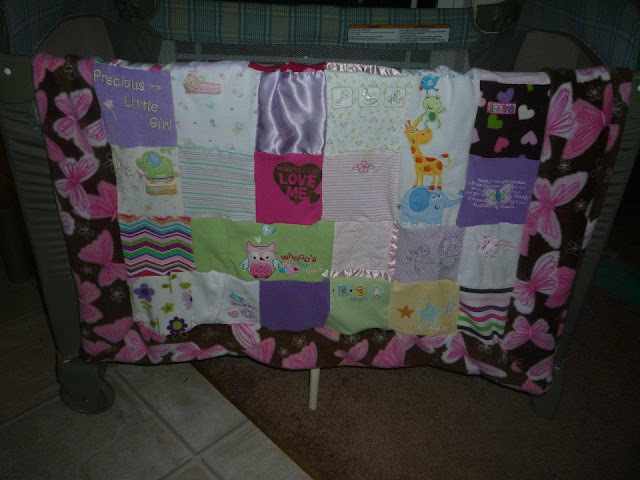 I started quilting only four years ago, when my youngest daughter outgrew her first clothes. I knew I wasn't having any more babies but I wanted to keep the clothes, so, on a whim, I went to my local Hancock Fabrics in Biloxi, MS and paid $80 for a sewing machine. I read the manual. I consulted Pinterest and YouTube, and I was quilting. In the timeline of quilting, of course, teaching yourself online is a very new thing. I didn't learn "the rules;" I wasn't taught by my grandmother with a hand needle and spool of thread; I just jumped in. And I was addicted. I discovered precuts, designers, rotary cutters, and wonder clips in such a short span of time, and I made quilt after quilt, each one a little better than the last. I taught myself primarily with Amy Smart's beginner series on Diary of a Quilter, and then moved onto Amy Gibson's Craftsy Class, the Block of the Month 2012. You can find her at Stitchery Dickory Dock. I quickly got bored of straight-line quilting but didn't want to hire a longarmer. 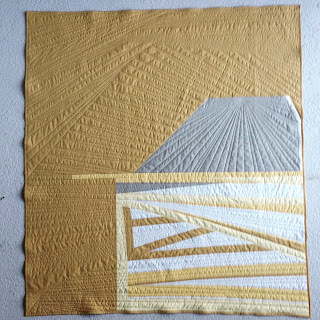 I like doing every step of my quilts from start to finish, so I learned to free-motion-quilt from the likes of Leah Day and Krista Withers (she's actually a longarmer but I love her work - she's @lolablueocean on Instagram). My little beginner machine couldn't keep up with me anymore so I upgraded slightly. It's still a small-scale, inexpensive machine but it does what I need it to do. It's amazing that we can just jump on the computer and learn from the best! I've never had a class in person, but I'm teaching them now, to people who think they can't do it, people who think they need to know the rules and don't think they can learn from a video online. My hope is to show them that they can do ANYTHING, and that there are no rules. It's hanging in my grandmother's house. 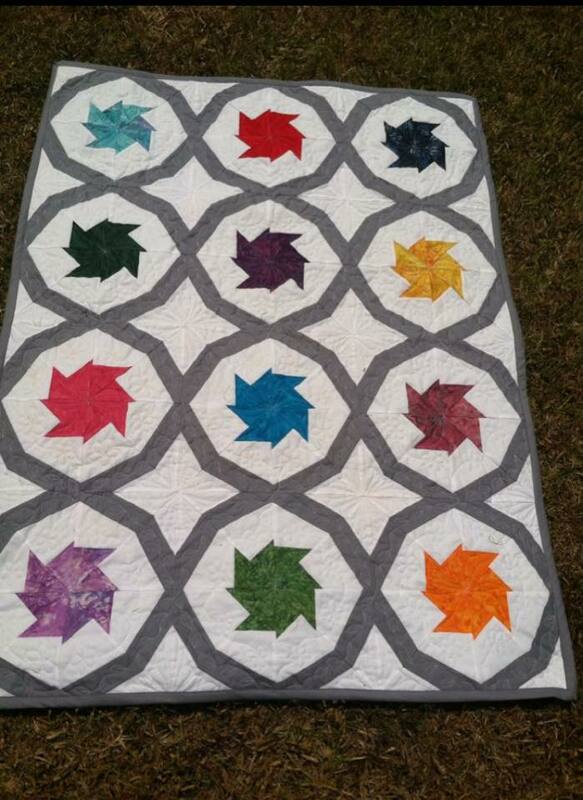 The pattern is Tilt-a-Whirl by Amy Gibson and it's all paper-pieced. With Elizabeth Hartman's Fancy Forest and Jen Kingwell's My Small World on my short list, I know I'll be having some new favorites very shortly. As for my "style," it's constantly evolving. I used to just cut up some fabric to see what I could put together, but lately I've been following more and more patterns. If it makes me happy, I want to make it. I like bright happy colors and prints, bright white or deep gray backgrounds, and interesting piecework. I like a little structured improv every now and then too - with no templates or measuring, but still a basic plan in mind. About half the time I start with a fabric I love, and the other half I start with a pattern I love. It's a balance. I was lucky enough to find a home here about three blocks from the cutest little quilt shop in the world, and when I walked in that first day for a charm pack, I walked out with a job. I teach classes, sew samples, and do the retail thing part-time. If you're in East Grand Forks, just north of Fargo, you can't miss Quilter's Eden! I'm thrilled to be posting here this week. 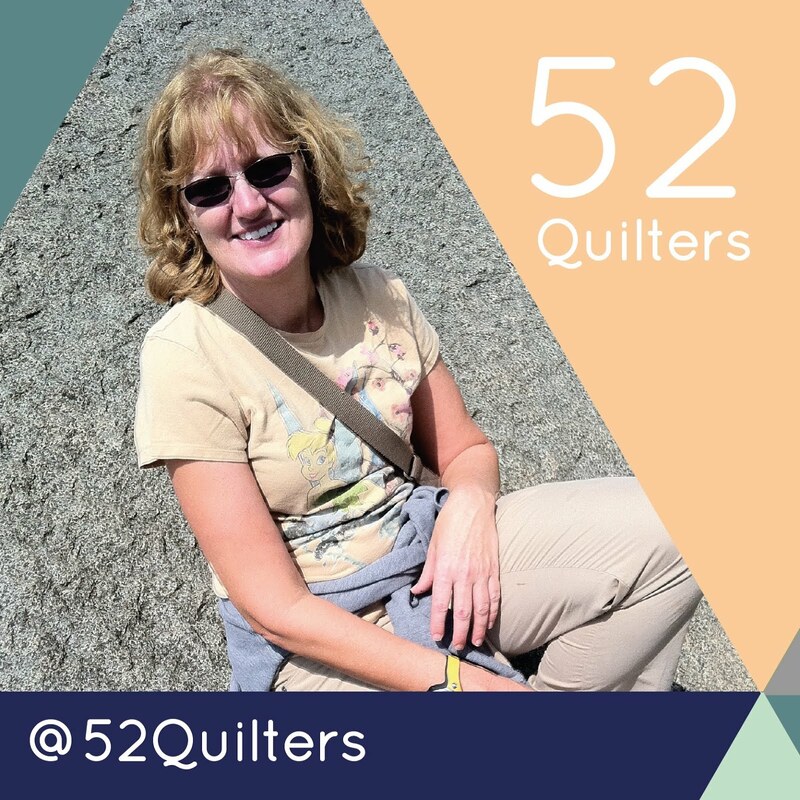 It's been really fun to follow 52 Quilters and really get a feel for how diverse we are. 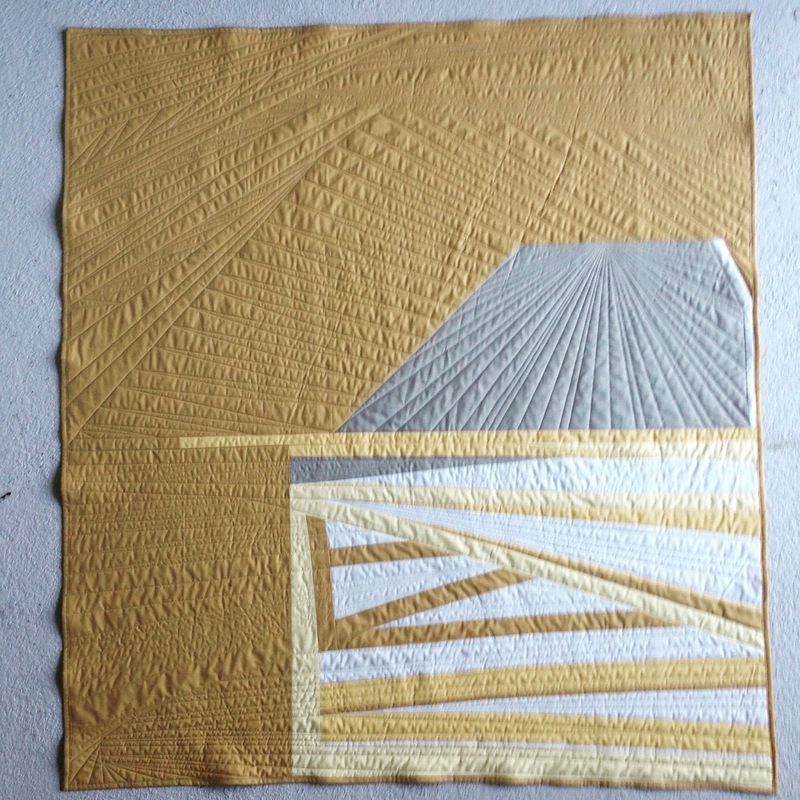 This week for me was about sharing my experience as a new quilter. The whole time, I only posted one finished quilt. 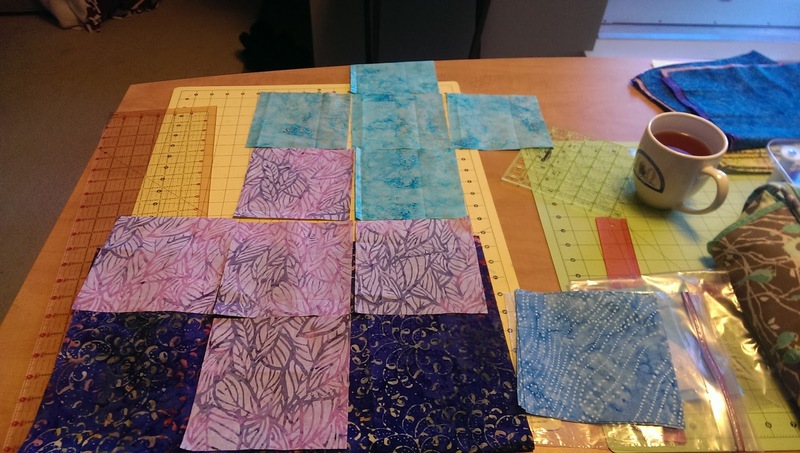 My hope was to help encourage relatively new quilters or time-strapped quilters to keep going. I am honest about where I am with my skills, and I received a lot of encouragement at my last guild meeting from women who feel the same way. I love Elizabeth Hartman, but I can't handle Patchwork City. I'm starting to feel the same way about Tula Pink's City Sampler. I love chain sewing, which is why I loved Hazel Hedgehog so much. I could break it down into steps and see the end of the tunnel. Maybe I need to leave my Tula 100 for another time when I have more of a stash, so thanks for the encouragement, Chris! The T-Shirt quilt that might forever be a UFO. 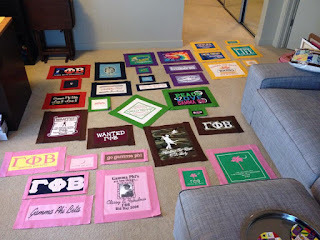 I'm going to make a bunch of quilts that I want to make, and let my family choose which ones they want. Eventually. You know, when they're all done. I think my confidence will increase and some day, I'll be more sure that I can finish a project, but for now, I'm going to chase my excitement and do fun projects. I think it's also important to do projects to donate. I haven't donated anything yet, but I'd like to do at least one per year. I feel that it's a really great way to use something I love to help other people. Plus quilt for charity I've already started! Well, I think that's all I've got for 52 Quilters! Thanks for having me; I've had a blast on Instagram and can't wait to see what 2016 holds! 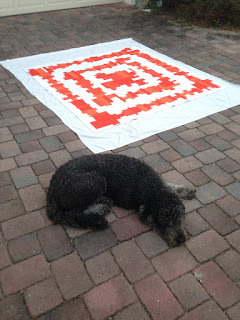 I didn’t really start quilting until 2013. I had sewn a bit here and there, but never had the time or resources to get into it. I finished Grad School in May 2013, got married in June 2013, then moved to Canada in July 2013. 2013 was a big year, to say the least. We were supposed to be in Canada for 6 weeks before we were supposed to go on to Germany for one year. Clearly that never happened. Moving to a new country was extremely exciting, but with the highs of adventure come the lows of isolation. Because our situation was seemingly temporary (6 weeks had slowly drawn on to months), I didn’t want to invest too much into my new community. For whatever reason, I didn’t want to put energy into meeting people just to leave shortly thereafter. By October 2013 I was going pretty crazy being alone and started looking for jobs, as I had discovered I was eligible for a work permit. 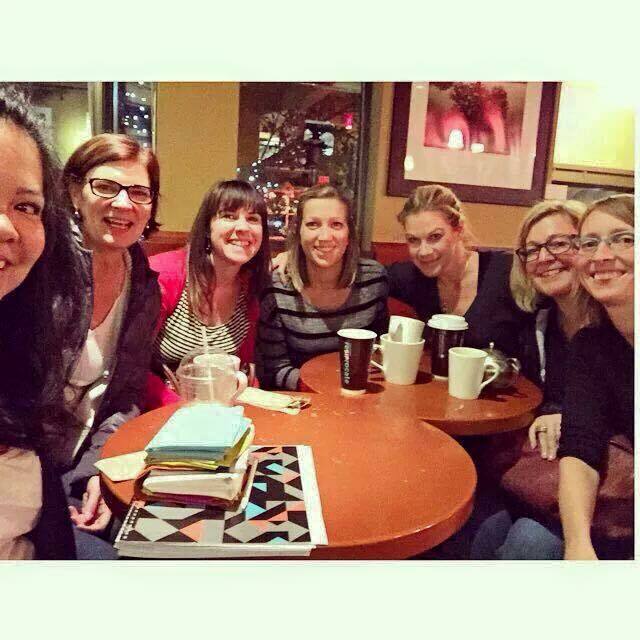 January 2014 I went to my first Calgary Modern Quilt Guild meeting! My aunt is a quilter (my whole family is first generation quilters) and she kept telling me to go to a guild meeting. I dragged my feet longer than I should have, but that first meeting was really fun! I’m fortunate that I’m extroverted enough to show up to something all by myself without knowing anyone, but it was still pretty nerve wracking! While the guild only meets once per month, I was totally inspired by what everyone was doing. I realized I had a lot to learn about sewing and the modern quilting world. I felt pretty overwhelmed but wasn’t afraid to ask questions. Still was the matter of confidence. It took me a while to feel like my skills were up to par. I was afraid to cut into anything in case I cut it wonky; I was even more afraid of the elusive “scant” quarter-inch seam (I made a table runner for my sister’s wedding on a crappy second-hand machine… the whole thing was perfectly shrunken). I kept going, though, I did a lot of small projects and played with colors. I made it my goal to bring things to show and tell. goldendoodle, Wallace and poodle, Betty. And now a year later, I’m the president! I love programming and like talking in front of groups, and tend to be a pretty positive person. Our guild is still growing, and the amount of ideas and talent we have is off the charts! I can honestly say now that a lot of these women are some of my best friends. It’s kind of funny, I think I’m the youngest in my guild, but I don’t really feel that young. The women I’m friends with are the same age as my sisters, my aunts, my mom, and maybe even my grams. And those women fill all of those roles for me. It’s not always easy being so far from my family in Texas, but each time it gets a little easier knowing I can celebrate my accomplishments with some great mentors and friends! So, I encourage you to explore your quilting community. It’s pretty easy to search for Modern Quilt Guild locations on their guild locator page. You don’t have to be an expert quilter, you just have to enjoy it! No bulk time to sew or quilt today, I have to rush off to 'work', that job that gives me money. But I want to share with you the Best advice for sewing I ever read. 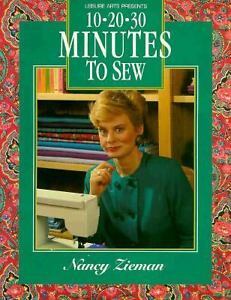 In the book '10 20 30 minutes to Sew' Nancy Zimmerman talks about using small segments of time to sew. You do not need hours and hours to get a project finished, but just keep working on it if you only have 10 minutes. Not a direct quote but somewhere in that book that is what I gathered. Thanks Nancy! I have had my sweet Lucey Lou for 11months now. She is almost 1! I really never thought I would have the gumption (or funds) to purchase one. But here she sits in my living room. Typically I like to load the backing, batting and quilt top the night before so I can get up and begin quilting. This morning I had to finish the backing, so I am loading the quilt today. I’ll post pictures of my progress on Instagram. Hope you follow me ….. and if your are an experienced longarm quilter, please feel free to comment with tips and tricks! Entering quilt shows is still something new to me. It has been just a year on that journey. I feel so SO SO blessed, humbled and surprised to get juried into some; The Modern Quilt Show and the Mancuso World Quilt Show. 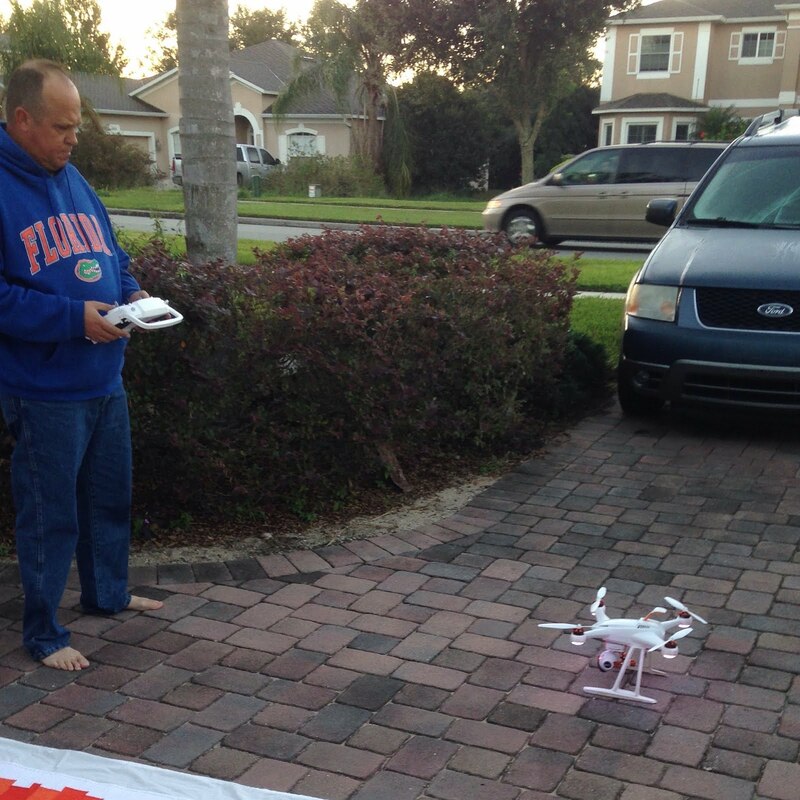 Pictured is Florida Barn from the Mancuso show. Making a quilt intended for show is only a bit more work than any other quilt. I do a little more seam and quilt ripping if I make an obvious error, but I’m not a big fan of re-quilting so my quilts usually end up with the same flaws as any other. It’s the extra prep work of submitting that’s a bit time consuming and mentally challenging for me. 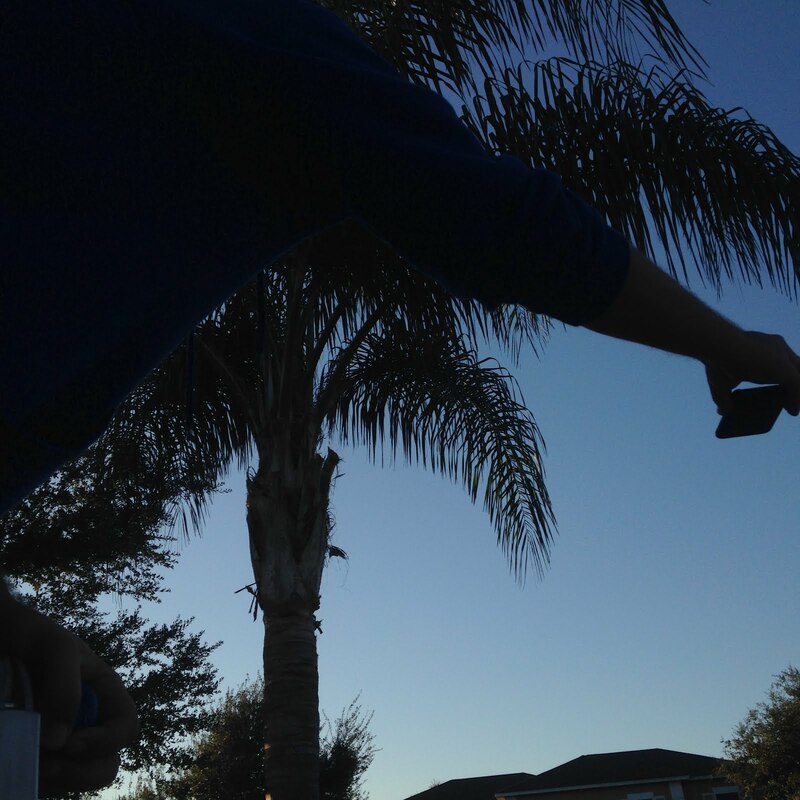 Taking the picture is always a heart-wrenching day. I gotta shout out to the Apple phone for coming through, my camera phone is all I use. Early morning is the best time, getting the right amount of diffused sunlight and not the full strength of the Florida sun. 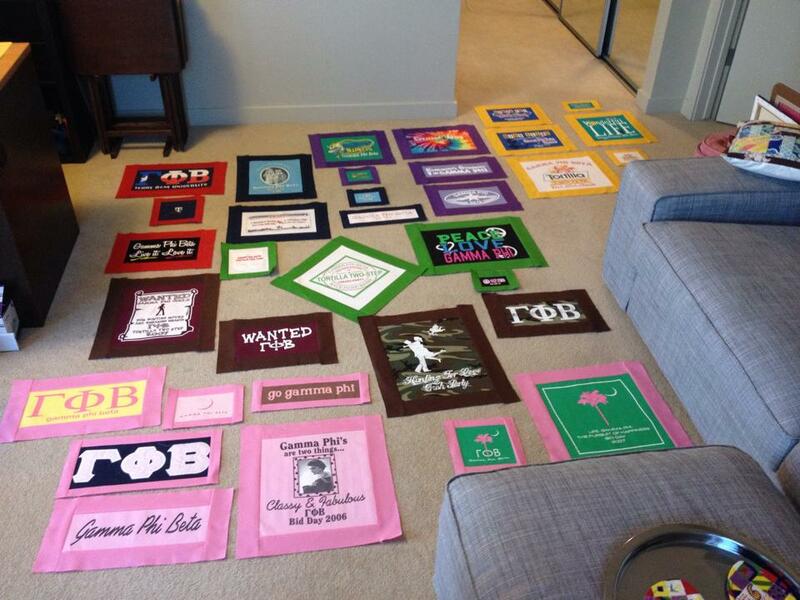 Getting your quilt to appear perfectly square in a photo is not an easy task. 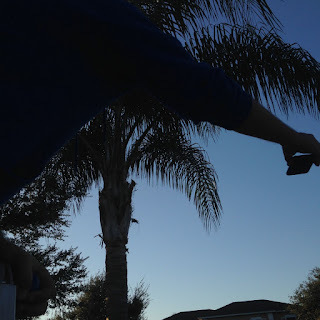 Usually it involves a very tall ladder, family members for assistance and about 100 photos. Our dog Bear can be very helpful, actually the truth, focussing on a light or dark background with the camera changes the appearance/coloring the photo takes. I’m always up for an adventure and new ideas, so the last photo session I even attempted using a drone. Don’t try it, I did not anticipate the wind those propellers make and really got the (white) quilt dirty. Neither do I recommend taping it to your garage, especially if you have a garage opener (nough said). The better photo’s always happen if I can lay the quilt on the ground and take a picture from above. 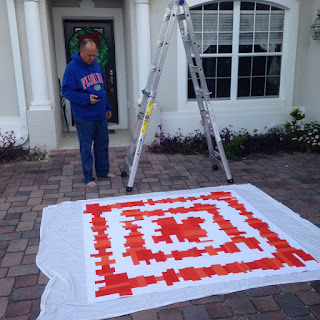 Occasionally quilts are too large for that. I have a sweet friend who owns a portable quilt hanging rod so was able to borrow it one time. (The advantages of belonging to a guild). I have to say that even though quilting for shows IS more work and occasionally stressful, what it really does is improve my work overall and keeps a goal ahead of me. The desire to quilt my best at all times helps me grow, both in the craft in the joy I find in quilting. What about you, do you have any tips for quilters entering for show? Just a bit about me, Here are some numbers: I turned 50 last year, married for 27 of them and 2 kiddos (17 and 24). I’m a 23 year quilting veteran but really year 4 of designing and creating my own work and patterns. I have 2 machines, my workhorse Bernina that is super steady and my newbie APQS Lucey. Luceylou and I have been together almost 1 year and we are still learning about each other. I’ve entered 4 different shows in the last year, with 4 of 14 quilts juried in, more about that journey later. Because quilting IS a journey. Hosting the 52 this week has given me some time to think about my quilt-goals for the year in terms of what I want to make and what skills I want to develop. I did a tidy of my craft cupboard over the first weekend of the year, and that also made me confront some of the stash skeletons in my closet, including this stash of David Gray's Curious Nature collection that I've been sitting on for a few years now. I really don't have a very big hoard. Last year on the blog, I shared my limited stash-space, and although I've moved to a new flat where I have a bit more room for fabric storage, I really don't want to let my stash grow too much. b) Low volumes: I find it so hard to find interesting patterns that read as whites, lights, beiges, etc. so whenever I see these I allow myself to buy them. But I WILL give myself a little bit of room for indulgence. Revisiting my collection of Curious Nature, has made me rethink the idea of procrastination. I've always felt like I was putting off making something with these fabrics, but in the context of my stash rules I think I was just savouring my time with them. The purchase of these prints was an indulgence to my normal stash rules: they weren't tied to a specific idea of project, for a few years I've kept them on the back burner while enjoying all the possibilities they've presented me with. I've decided that for 2016 I'm going to 'get off my stash' and make something with my Curious Nature prints... but I will save the space they took up in my stash, and replace them with another indulgence purchase that I can let simmer on the back burner. I'm going to be tidying up my old blog and working on my new project I'm calling Curious Fractal, so stayed tuned for me from me as the year progresses. 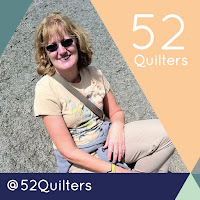 I'm so pleased with how things have gone for 52Q in 2015, that I've snuck myself in as the first quilter of the year again to kick of the new year and share a bit behind the scenes of 52Q. 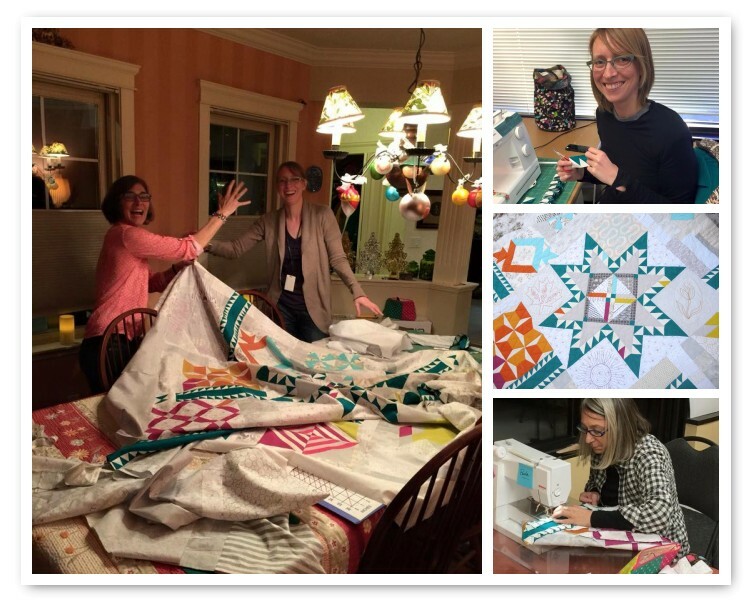 The last year was very fun and rewarding, I started the year by booking in the first 16 quilters "just to see" if it would work and by the time the end of January rolled around I knew I'd be filling up the rest of the year. With 2016 upon us, the call to join 52Q is now open (until Friday January 8 midnight, GMT) ... we've had 50 responses so far, but it is not a first-come first-served policy... so if you are thinking of applying for a takeover, you still have a great shot. First I'll download all the responses into a MAHOOSIVE spreadsheet that is my 52Quilters guide for the year. This year I've done a little pre-sorting to identify some people to take over for January, and once that is all confirmed I'll go through the rest of the year after the deadline on the 8th. All the information starts out as just text but ends up looking something like this: (i've zoomed to 50% to protect the secrets of the spreadsheet!). Then I start mining away at the responses: highlighting interesting stories, people in new places, looking to see who has applied before, anythings that stands out. Sometimes past quilters recommend someone or I recognise someone who is really active in engaging with the account as a follower - this is just an initial scan to highlight potential quilters. The process may seem fickle to some, but I really want 52Q to be an opportunity for anyone regardless of experience so I do this BEFORE I check out Instagram, so that my first run through is not influenced by their work, style or social media following. After this, I then go through online profiles of everyone, again looking for things that stand out, to be honest nearly everyone gets highlighted for one reason and another (you people are all just so dang fascinating!!!). It may sound like a chore, but it is actually quite a treat for me to sit drinking coffee after coffee, falling into an instagram black hole, with an actual purpose this time! With work and life, it will take me a few weeks to really review them all and get all t scehhedule sorted for this year.